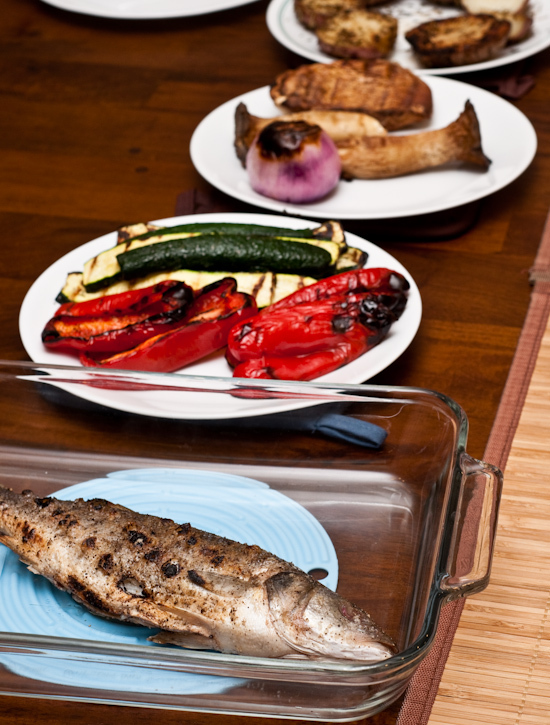 Dinner: I grilled a whole Mediterranean sea bass (or branzino) as well as zucchini, red bell peppers, and mushrooms. 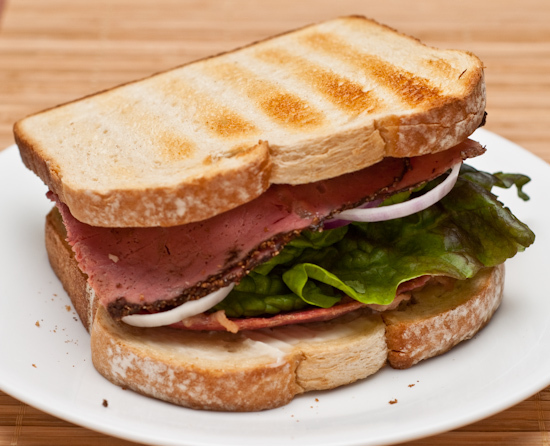 Lunch: I made a pastrami and corned beef sandwich (with lettuce and onions). the abalone and trumpet mushrooms look so meaty! 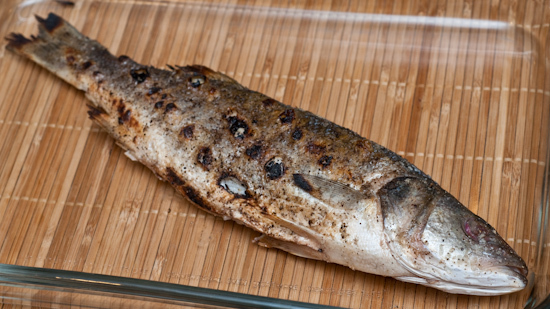 what's the flavor like and how did you cook it? just grilled plain? 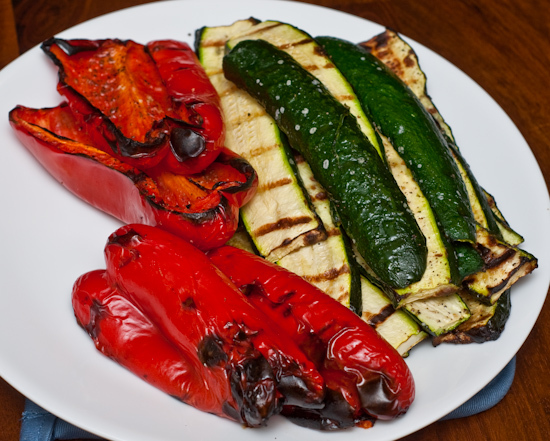 I brushed them with olive oil and seasoned with kosher salt and pepper. 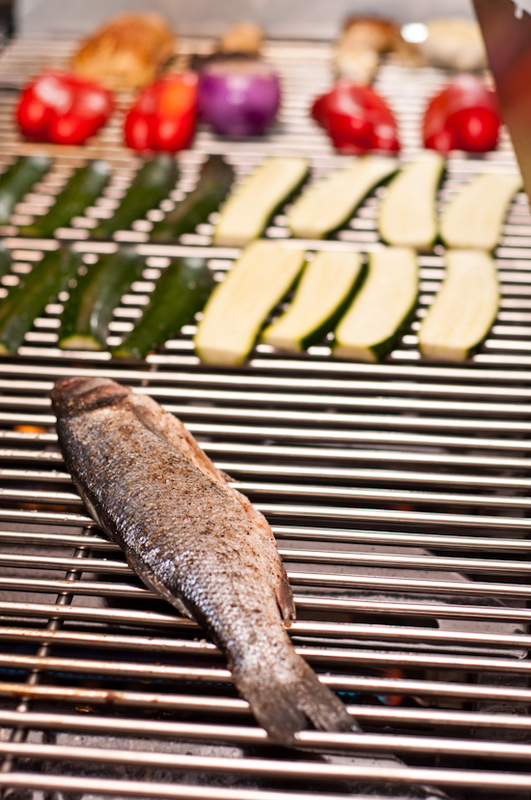 Then I just grilled them over low heat. 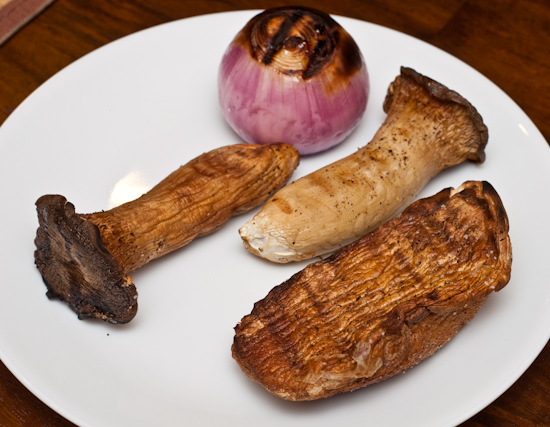 The stalk of the trumpet mushroom was quite sweet and interior was very soft while the outer ring was a little chewy. 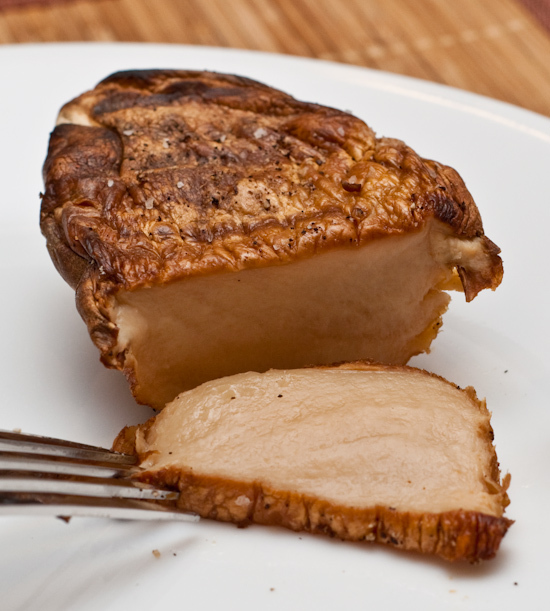 The abalone mushroom actually had the texture of fresh abalone - soft and easily chewed with a mild savory flavor. I really like this mushroom and will definitely buy it again in the future. It runs about $20 per pound and that large one was less than 1/2 pound.